The release of Apple's iPhone 5 is all but a given at this point, but with one day to go until Apple's big unveiling event, there are still a few unanswered questions. Chief among them: when will the eager public be able to start pre-ordering the iPhone 5? Initially, TechRadar reported pre-orders would begin Wednesday (Sept. 12), just after Apple had revealed their latest iOS handset. 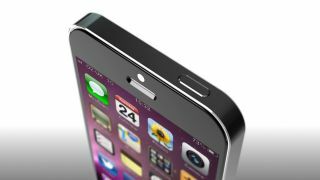 However, new rumors point to pre-orders for the eagerly anticipated iPhone not opening up until this Friday, Sept. 14. According to a published report, Apple is prepping for a massive influx of pre-orders by increasing the amount of staff the online support centers have on hand. Though it's still not clear just when pre-orders will begin, the staff increase is expected to begin with the 6 a.m. EDT shifts. Whether that means pre-orders will begin promptly at 6 a.m. EDT, or the staff is expected to be on hand early for a bit of a later start, is unknown. The supposed staff increases may also be occurring to help out in case Apple also opens pre-orders for the rumored iPad Mini, which may also be revealed Wednesday. There's less than 24 hours until Apple's event (kicking off at 10 a.m. PDT), so we won't have to wait much longer to find out when and where we'll be able to get our hands on the company's latest iDevices. Check in with TechRadar for live event coverage plus a hands on review of what is sure to be an interesting iPhone.